It is the law that any new lease lasting for seven years or longer must be registered with the Land Registry and, in almost all cases, have a lease plan. 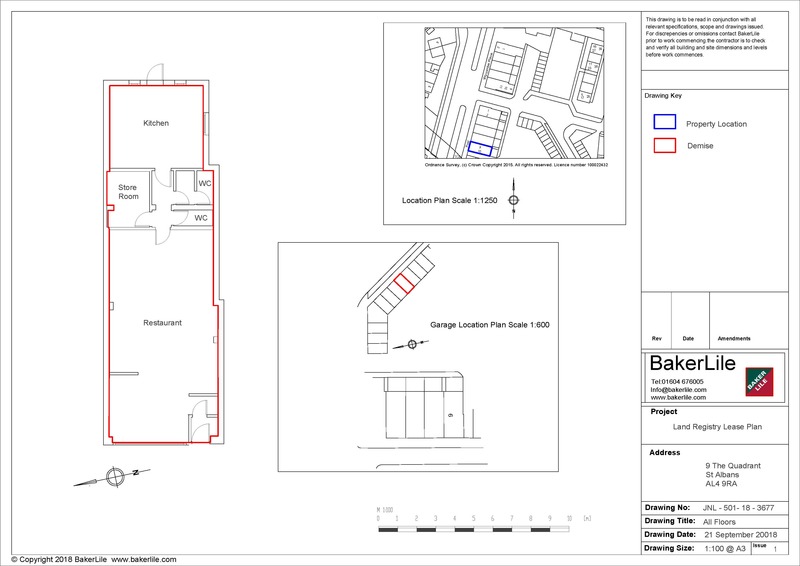 The lease plan must be compliant with Land Registry guidelines and so it is important that this plan is produced accurately by someone who is familiar with the guidelines and used to producing plans that comply with them. Quite simply, a lease plan is a drawing or diagram that shows which part of a property is included in a lease. 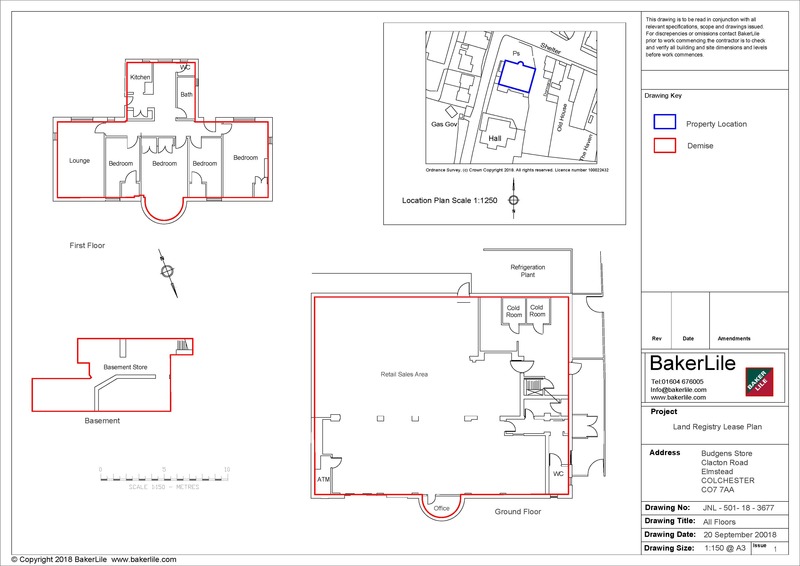 It is drawn to scale, and shows all parts of the property included in a lease as well as any land, garden and outbuildings. 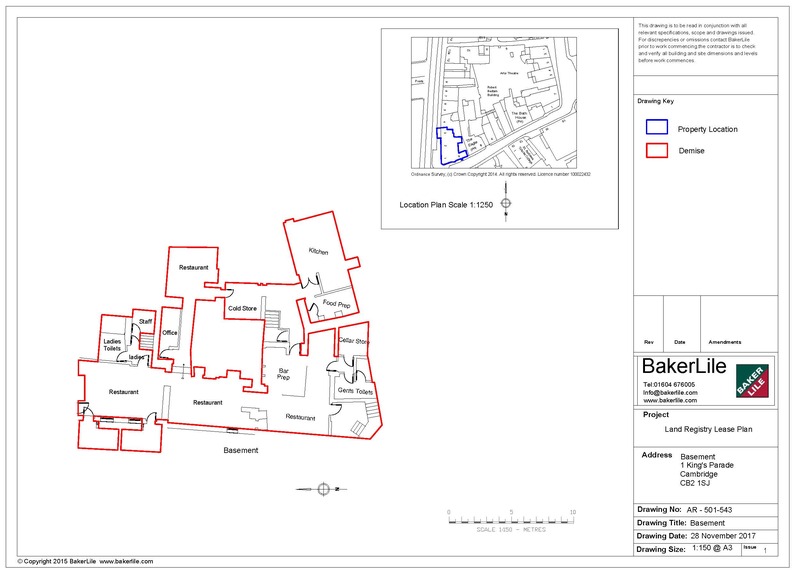 How is it made Land Registry compliant? For consistency, and to ensure that the land included in a lease can be readily identified with minimal room for error or misinterpretation, the Land Registry publishes guidelines. Since 2002, it has been the law that these guidelines must be followed. It must be drawn to scale; usually 1:1250 – 1:500 for urban properties and 1:2500 for farms and other rural properties. 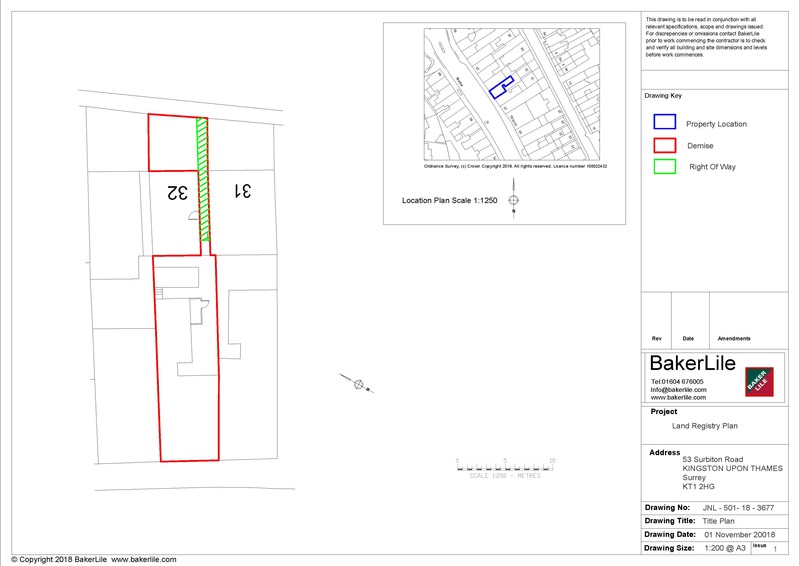 It must include enough detail that the property included in the lease can be identified on an Ordnance Survey map, including enough roads, junctions and landmarks that the general location of the property is clear. It must include a bar scale using metric measurement. 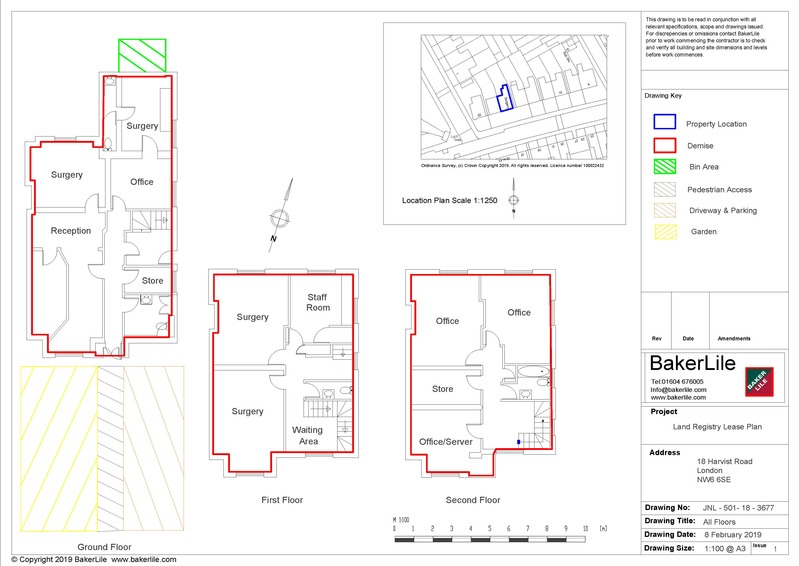 In the case of flats and maisonettes, it must show the location of the property in relation to the external footprint of the building. 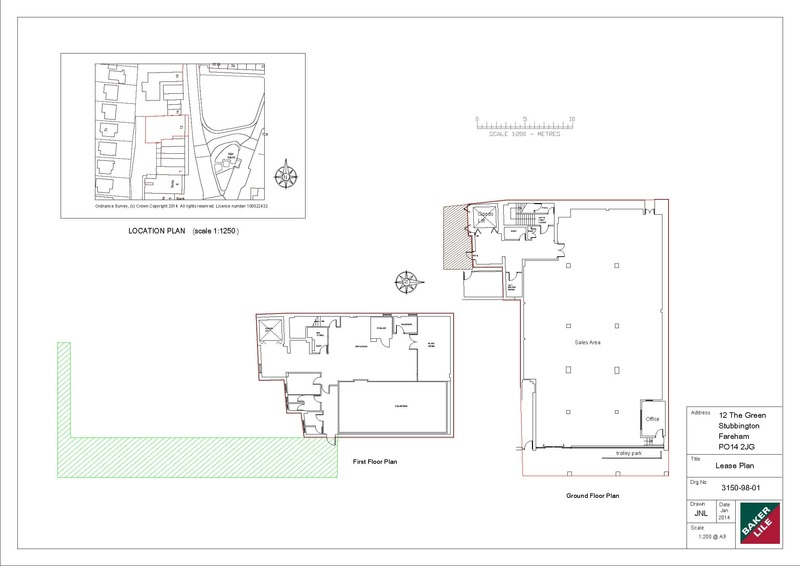 If the leased property is split across multiple floors, it must show the extent of the lease on each floor, using separate plans if necessary. It must show in greater detail, using a larger scale, any intricate boundaries such as internal divisions within a building. It must agree with the verbal description contained in the deed. 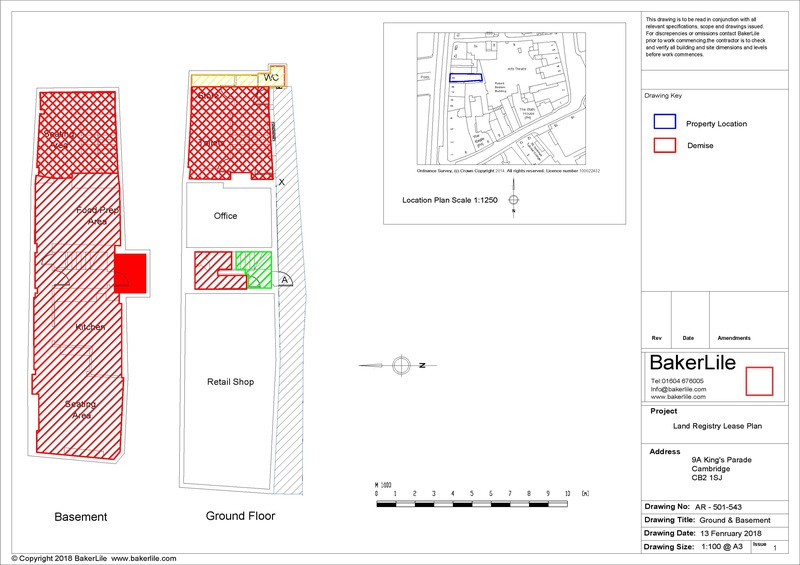 Plans may be rejected if they are ambiguous, are not to scale, do not match the verbal description or cannot be accurately related to the OS map in terms of location and alignment. It is probable that, if you are buying or selling a leasehold property with a long lease and with no changes to the boundaries of the property, a compliant plan will already exist and your solicitor will be able to confirm this. A lease of more than seven years is being granted for the first time. Land is being sold that was previously unregistered. A property is being divided into two or more parts, one or more of which is being sold.